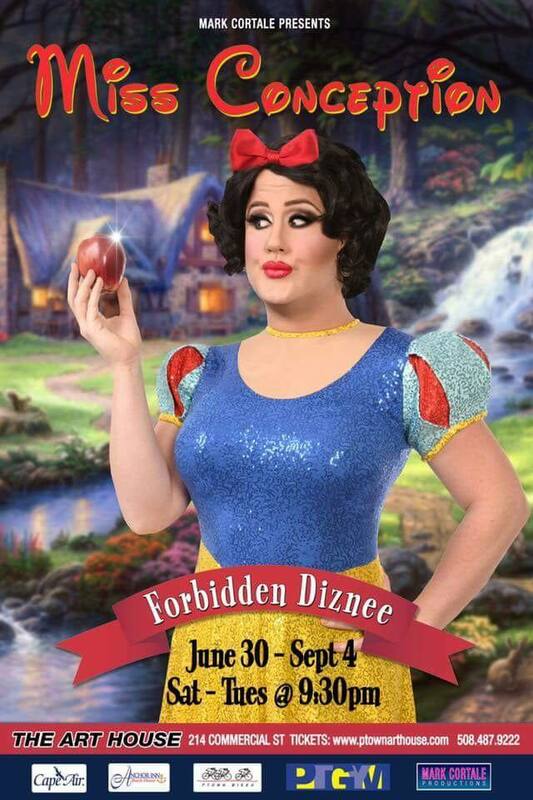 The legendary Canadian ‘delusionist’ Miss Conception is finally making her Ptown debut with FORBIDDEN DIZNEE her wonderfully hilarious dirty show for fans of the Magic Kingdom who have warped minds i.e. most gay men. P.S. Queerguru would love you to bits if you did us one tiny favor. Despite the fact that we have had almost 270K hits on YouTube (yeah!) they will not give us a single cent of the advertising money that they make off us until we have more subscribers. Won’t cost you a dime, but it will help support our site. Just simply click on the link below. Thank you very much!